How big is your wolf? 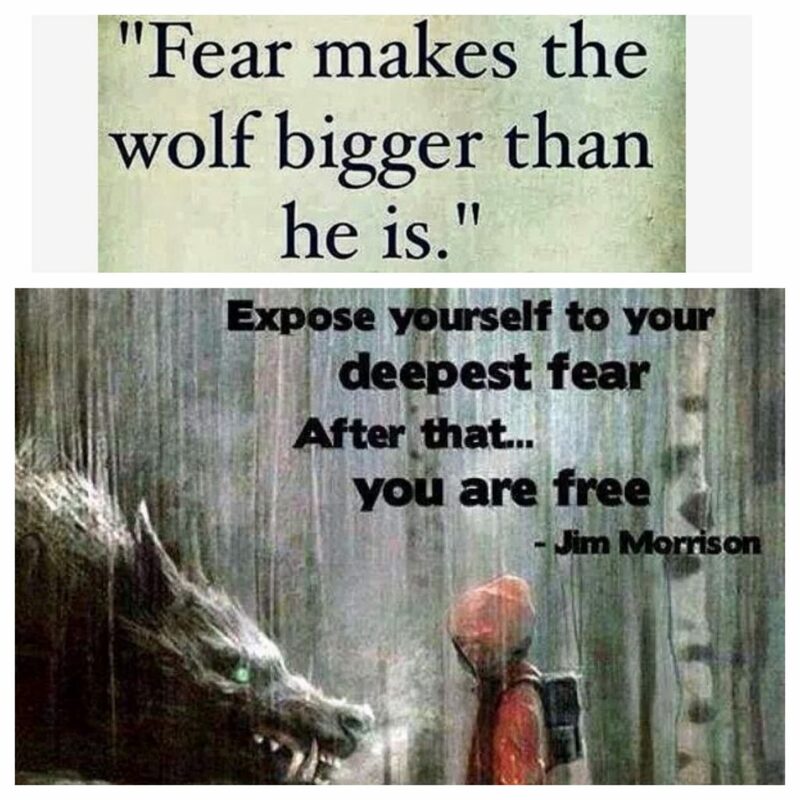 The size of our wolves are dependent upon our fixation on our fear- the amount of time we spend obsessing over our troubles. The truth is, we are all facing various battles through our lives- some sickness related, relational, spiritual, and financial. We live in a broken world full of unknowns and imperfections. When we choose to live in fear we are frozen, unable to make productive decisions and live a joy filled life. We give our fears power over us, but fear is a choice. We are called to be courageous, and rejoice in all our circumstances- we are to find the joy in each day no matter what- when we do, the wolf shrinks in size. Now, you may be wondering how on earth you are supposed to do this? How do we find joy in a situation we are utterly afraid of. When we don’t have the answers and our situation feels helpless, it is the opportune time to surrender. Cast your cares on Him- He is bigger than any problem we face. When the big bad wolf is huffing and puffing at your door, ask Jesus into your heart and he will offer shelter no one and nothing else can provide. He will fill your heart with peace and joy in the midst of the wolf banging at the door and roar so loudly the wolf has no choice but to flee. Don’t give the wolf power and allow him to be bigger than he is. Don’t choose to live in fear, He has your back. Choose courage, choose joy- choose Him.